Nyrstar is an integrated mining and metals business, with market leading positions in zinc and lead, and growing positions in other base and precious metals; essential resources that are fuelling the rapid urbanisation and industrialisation of our changing world. 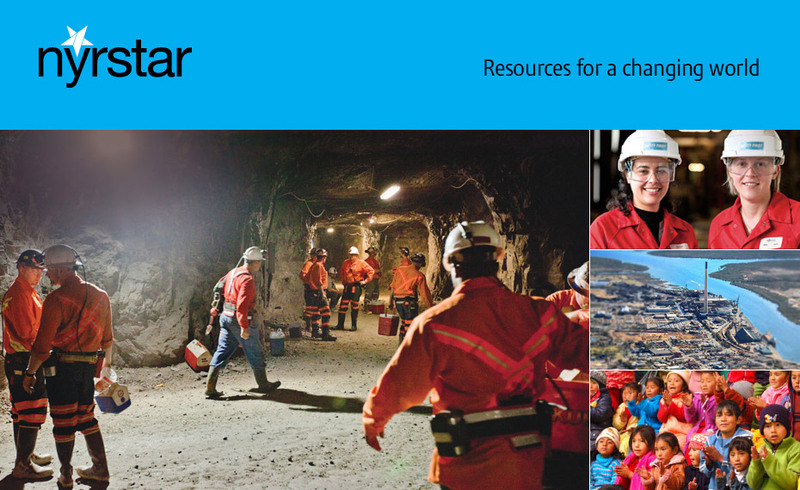 Nyrstar has mining, smelting, and other operations located in Europe, the Americas, China and Australia and employs over 7,000 people. Nyrstar is incorporated in Belgium and has its corporate office in Switzerland. Nyrstar is listed on NYSE Euronext Brussels under the symbol NYR. Nyrstar has mining, smelting, and other operations located in Europe, Australia, China, Canada, the United States, Central and Latin America. Nyrstar is a leading global multi-metals company, producing significant quantities of essential resources - zinc and lead, as well as other metals such as silver, gold and copper. Be part of an exciting global organisation which provides a challenging and rewarding working environment and values its people. We employ around 7'000 people across five continents. We are proud of our culture that is based on the elements of the Nyrstar Way: prevent harm, keep our world, take bold decisions, be open and honest, create value, use innovative and creative thinking, be driven. Our company culture promotes and rewards excellence. As we continue to execute our business strategy, our workforce continues to grow and diversify. We value dynamic and motivated professionals who can demonstrate the elements of the Nyrstar Way. We offer a challenging and rewarding career in a global company that focuses on growth, operational excellence and industry leadership. Paste Fill Coordinator, Campbell River, BC, Canada Hot!